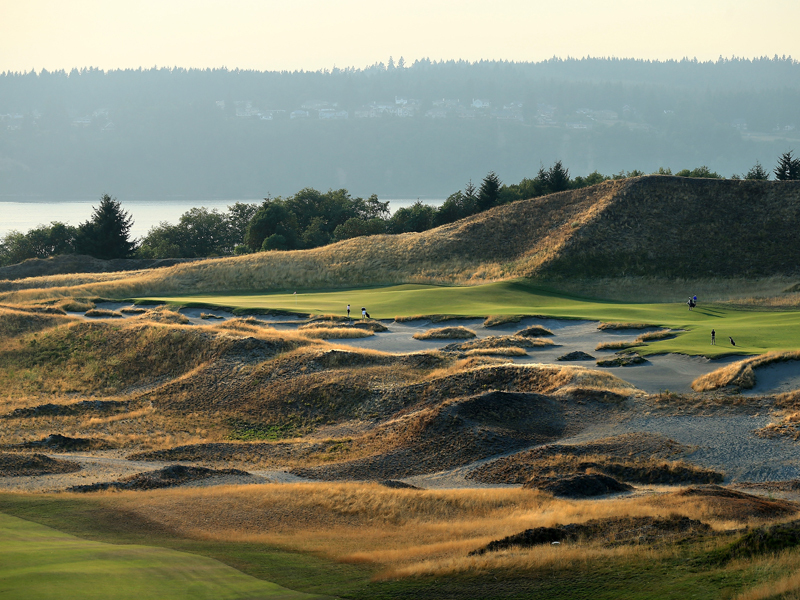 The Chambers Bay course in Seattle has drawn plenty of comments from players pre-tournament. Ian Poulter has spoken to Golf Monthly exclusively about his thoughts on Chambers Bay, the course for the upcoming US Open. The course, situated in Seattle, has sparked player debate in recent months, with varying opinions being voiced about the links course. Poulter, who finished T17 at Pinehurst last year, has been a large part of the debate and GM were able to catch up with him to get his thoughts. “I’m very much looking forward to getting over there,” he said. The course is heavily populated by large bunkers, with significant undulations around both the fairways and the greens common on all 18 holes. Poulter said that, despite Chambers Bays’ difference to other US Open venues, he expects it to be similar to previous years in some respects. “As I’ve said, it’s [the US Open] difficult. It’s a hard grind from start to finish. I shouldn’t imagine this one being any different. “It’s going to be a new test for everybody,” he added. The US Open begins next Thursday, with Martin Kaymer aiming to retain the title he won last year.